Michelle Obama should really consider dropping this school lunch program drive she is preaching. First of all, Mooch is not a nutritionist. If we need to add further federal intrusion and confusion into our educational system, why not add a professional nutritionist. We have an educational czar, so leave it to the locals to hire their own cook/nutritionist for the schools. Look at the above skimpy meal. I doubt that the Obama children are cutting back on their lunches. Michelle isn’t exactly a good visual example of slenderness. Michelle isn’t getting much support on her school lunch program……in fact there appears to be much more criticism and outrage. Michelle, why not just stick with what you know? Whatever that might be. You are not our children’s parent. We can handle this. Why not caddie for your husband? NO PRESIDENT EVER MADE SO MANY AND SO RECKLESS EXECUTIVE ORDERS, NONE WITH INTENTIONS OF DESTROYING US, YET WE DO NOTHING. HERE IS AN IMPORTANT ALERT FROM CONGRESSWOMAN KAY GRANGER. With all that is going in Washington these days some things don’t make the news the way they should. Fourteen days ago President Obama issued an Executive Order that you should know about. This order gives an unprecedented level of authority to the President and the federal government to take over all the fundamental parts of our economy – in the name of national security – in times of national emergency. This means all of our water resources, construction services and materials (steel, concrete, etc. ), our civil transportation system, food and health resources, our energy supplies including oil and natural gas – even farm equipment – can be taken over by the President and his cabinet secretaries. The Government can also draft U.S. citizens into the military and force U.S. citizens to fulfill “labor requirements” for the purposes of “national defense.” There is not even any Congressional oversight, only briefings are required.By issuing this as an Executive Order the President puts the federal government above the law, which, in a democracy, is never supposed to happen.As President and Commander in Chief of the Armed Forces, he has the Constitutional authority to issue executive orders. And while similar orders have been made before by presidents from Eisenhower and Reagan to Clinton and George Bush – it has never been done to this extent. This story is a good example of just what is wrong with this country. 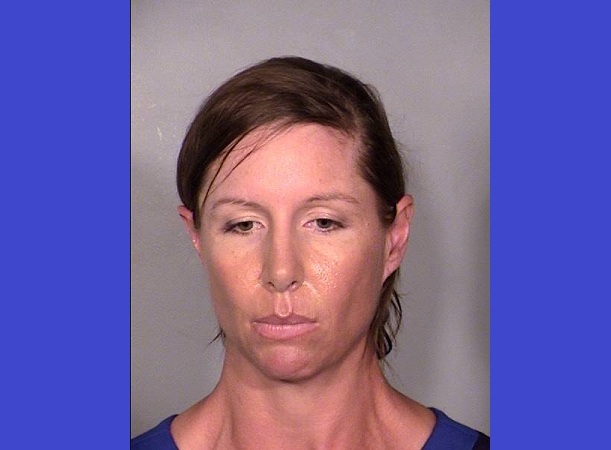 April 10th Alison Michelle Ernst of Phoenix entered the Mandalay Bay resort in Las Vegas, walked to a stage and threw a soccer shoe at Hillary Rodham Clinton. Ms Ernst was taken into custody by Secret Service agents. Two federal charges were originally filed against the 36-year-old. Recently, a federal judge dismissed the misdemeanor violent charge (throwing a deadly weapon I guess). Ms Ernst pleaded guilty to the misdemeanor trespassing charge, which she could be sentenced to serve up to 6 months in prison. However, shortly following the April 10th shoe toss a U.S. Magistrate judge thought this threat to society should be held in a jail operated by a federal contractor and has been in lock up ever since. So, Alison Ernst has served nearly 6 months in jail already, for missing. Six months for trespassing? They locked her up because she was a threat to the community? Really? REALLY! I seriously doubt anyone at the Mandalay Bay Resort felt they were ever in any danger from Ms Ernst. She threw a soccer shoe, not a knife, she didn’t shoot a gun. She could have jumped on stage and strangled Clinton but she did not. This lady was not, is not a threat to society. Yes, she had a misdemeanor assault against the former Secretary of State. Ms Ernst was obviously upset with Hillary Clinton, as are many of us. Maybe she didn’t care for Clinton’s handling of Benghazi. Can’t be her “We were dead broke” comment, that didn’t come until June. Maybe she is just tired of all the BS and lies that comes from the mouth of the 2016 presidential candidate. Seriously though, she has been jailed since April for not having a ticket to this event at the Mandalay? I know it was the shoe that got her arrested. You think of all the crimes and convictions that aren’t served with any jail time; maybe the violator serves some probation. Hillary Clinton and Barack Obama’s negligence towards their duties and responsibilities to protect the consulate in Benghazi got four Americans killed. They haven’t spent one damn day in jail. They haven’t even been in handcuffs. All they did was give bogus excuses. We could go on and on about these two, but I believe you get the point. Looters, vandals, arsonists and those that have committed assault in Ferguson were allowed to carry-on. Many of those were not arrested as they were seen walking off with merchandise, after knocking out windows. They are the same ones yelling for justice. Alison Ernst has gotten far more than a slap on the wrist. If she had thrown a shoe at you or me and missed; we would ask “What was that about” or even laughed. She wouldn’t have spent any time in jail. I doubt that Ms Ernst was laughing when she threw the size 7 (just guessing) at Hillary. It’s just a misdemeanor when it’s thrown at me, it’s a federal misdemeanor with serious jail time when it’s tossed at Hillary or Barack. Equality right? I understand we can’t allow people to go around tossing shoes, garbage, or anything at our president or former first ladies. However; a little common sense, a little intelligence here; let’s go after the real threats to society. While I’m at it; Hillary Clinton and Barack Obama are much greater threats to our communities and society than a 36-year-old lady from Phoenix. Under the Obama administration, we have had an abundance of crisis’ and scandals. Most, if not all of which Obama shows little or no interests. He seldom responds when he should, letting the issue steamroll out of control. When he does respond, he makes an excuse, blames someone else or has no solution or plan and it is just too late. It doesn’t make any difference to Obama either. 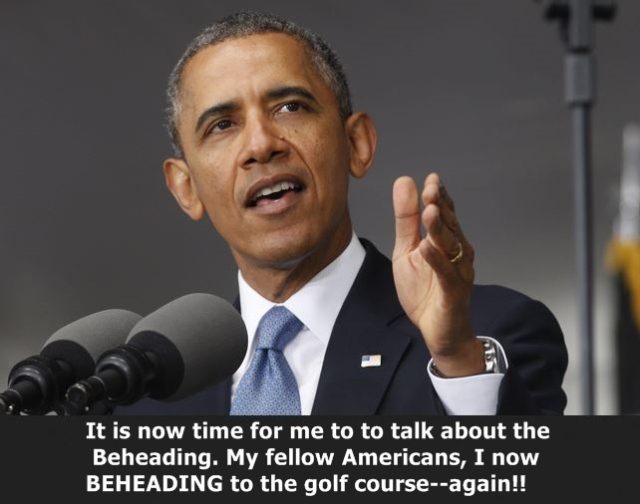 Obama handles problems by waiting until there is another, we’ll forget the previous; Ebola…..makes you forget ISIS…..makes you forget border security……..makes you forget Benghazi. Obama keeps our minds occupied with so much BS, we forget about him. It’s enough to worry if I need a new vaccination, will a Muslim ISIS member be in my work place soon, will my military son or daughter come back infected, will more diplomats go unprotected? These are just a few concerns………racial tensions have not been any higher in recent history than they are under Obama and Holder. Gentlemen, that’s being overly kind, you have not represented your country or your race very well at all. Obama, Kenya can’t be proud either. The truth, please tell me nothing but the truth. I am tired of hearing lies, nothing but lies. The only people I trust anymore are those searching for the truth. Those that share the truth when they find it…..or they at least believe it to be true. My friends that share what they know to be true if they have doubts will say so. One truth most of us agree as a whole is, we can not trust our government. I am American, I am not living in Russia or China or North Korea. We are lied to constantly, and we constantly keep these habitual liars in their offices or positions, knowing full well what they are. Oh so your congressman speaks the truth and he or she is doing a good job so you vote and re-elect them….. When none of us can accept the fact we are being lied to by our man or woman, then history is repeated, constantly repeated. We will continue down the same path….. When we won’t accept the truth, we are lying to ourselves. We get what we ask for….. So many, too many lies, it is hard to believe anything anymore. We need a fresh start, a do over. Would we get it right the next time? Throw all the bums out. There is always going to be a liar, dishonest, corrupt individuals………but we don’t have to accept them. It is disturbing that we just come to expect lies and corruption to be the norm. We deserve better or children deserve better. We need to hold those responsible accountable. We know who they are. Here is a safety tip and it makes no difference if you are black, white, asian, hispanic or from the freaking moon: If you are already under house arrest and wearing an ankle bracelet and your court date is set, if you go out (which you are not supposed to do) it may not be a good idea to run when you see a cop because you are carrying a stolen gun. You may not want to approach the officer in an aggressive manner then get into a scuffle which could only expose the stolen weapon. By now if you are stupid enough to get this far, you create an even more severe problem for yourself if you pull the gun and shoot at the officer. 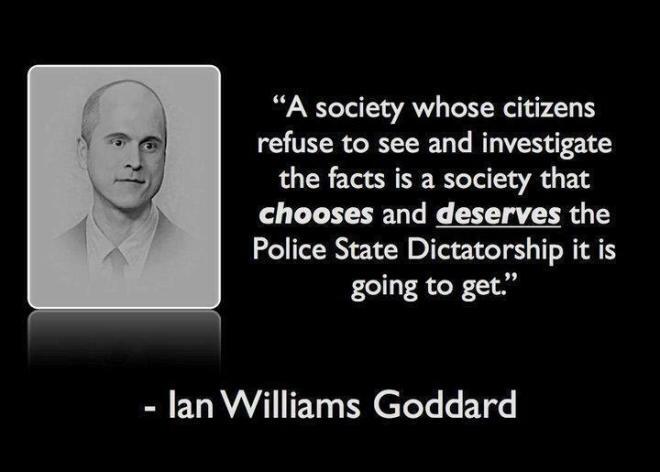 There is a good chance if you haven’t killed the officer, he is going to shoot back and may end your life. That my friends is not racism; the cop could be white, black, red or yellow for that matter and it would make no difference, they will shoot back. Vonderrit Myers Jr. was arrested back in June for unlawful use of a weapon and resisting arrest. The 9mm Ruger that was found at the scene of the shooting on Shaw Blvd. in south St. Louis Wednesday evening was stolen on September 26th. Obviously Mr. Myers didn’t learn a damn thing. I can’t say it any other way, it was total stupidity on the part of this 18-year-old to repeat what he was already in serious trouble over. 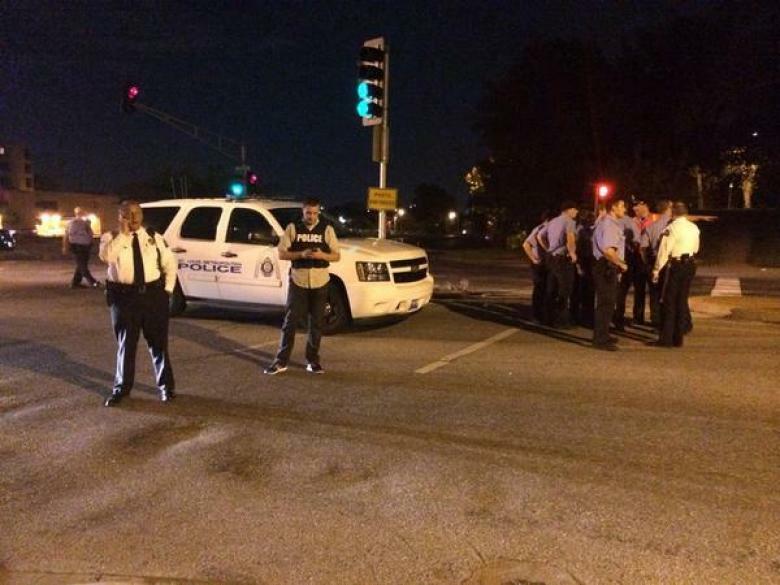 Myers placed himself in this position to be shot and killed by a St. Louis police officer whether he was on or off duty. The officer was off duty but was patrolling the neighborhood for a private security agency. He had every right to pursue 3 men if he suspected anything, the fact they ran only increased suspicion that something was wrong. It doesn’t take a genius to figure that out. Myers was under house arrest, he had a stolen weapon, the officer suspected something. What do you want from your officers……someone that is alert, or one that is inattentive? What was Myers doing with a stolen gun……..what were his intentions? There could not have been any good intentions.